Half laps and two buh fours. I couldn’t move in there for a while. Space was a little tight but I can’t complain about a good deal on wood. Here’s a pic of mine I did a few years ago with the rounded bottom edges. Like I said, I did the SAME thing you did and within a 30 minute timeframe I had a cut in my head and a really sore knee. I took the time to use a jigsaw and a router to go back and round and smooth everything. +1 on rounding the corners. I rounded both top and bottom corners. 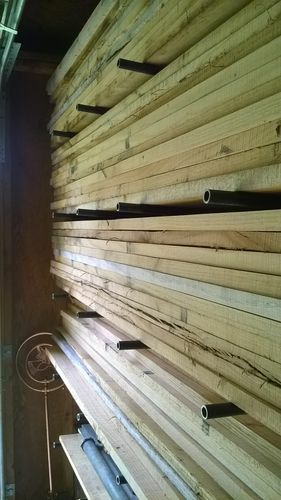 Round tops will help keep damage to your stored wood to a minimum. 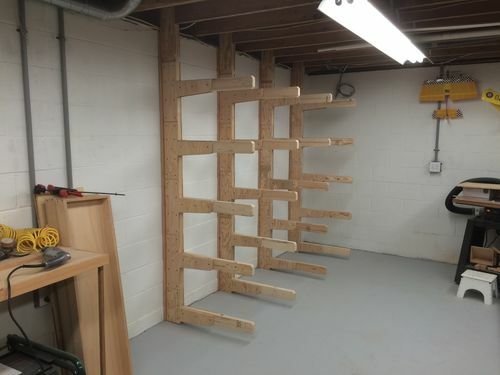 I also added some plywood bracing to the joints on my rack. 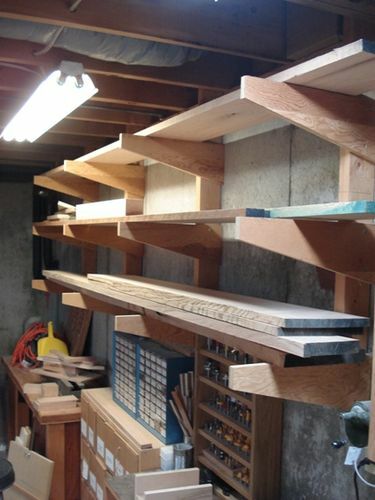 This lumber rack is a very nice addition to your shop. I did something similar against a concrete wall. 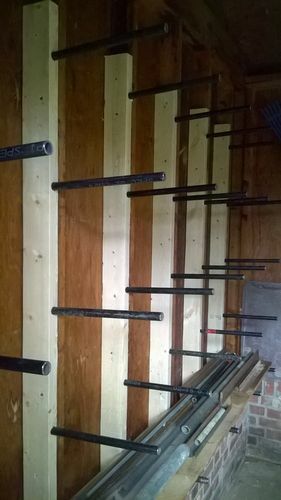 I hung the 2×4s from the floor joists. After using the above method for quite a few years I realized I was losing a lot of storage space with the supports and switched to 1/2 black water pipe. 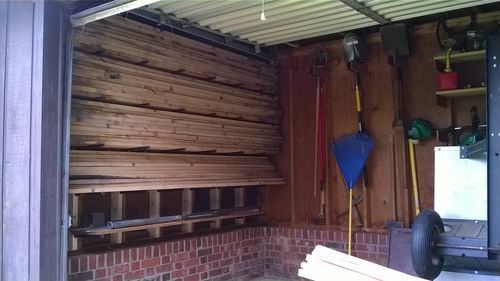 This storage was in a shed and being used for rough oak. I drilled holes at a slight angle in the edge of 2×4s and then slabbed them to the sides of the 2×4 in the wall of the shed. Just a guess but I’d say this rack is holding 800-1000 lbs. Note the 1” gap between stacks. Good ideas on rounding the corners. I like the black pipe idea too.